Regional Eye Center offers Hutchinson, MN a full-service Ophthalmology and Optometry practice, providing family eye care and a wide range of medical and surgical care. Their biggest goal was compliance and security. They needed to ensure HiPAA compliancy with patient records by holding them on safe and secure dedicated services. They also sought help with combining three separate entities onto one phone system, yet billed separately. Regional Eye Center turned to Nuvera to provide them with voice & data solutions because they are a local communications provider with a strong reputation for delivering on the many products and services that they offer. Regional Eye Center was looking for a state-of-the-art phone system solution and Nuvera paired them with the Avaya IP Office. The Avaya IP Office unifies communications, providing employees with a solution that lets them handle all their business communications on the device of their choice: their laptop, mobile phones, office phone or home phone – using wired, wireless or broadband connections. The IP Office easily adapts to the goals and budgets of a business and provides individual user productivity solutions to give each employee just the capabilities they need – whether it’s their front office staff, Doctors, or all other employees of Regional Eye Center. 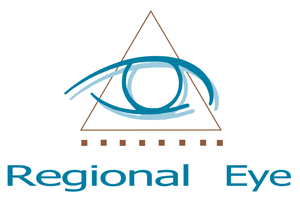 Regional Eye Center was also looking for a Technology Partner that could assist them with all of their data needs while ensuring privacy and regulation compliancy. Nuvera’s dedicated server solutions have met Regional Eye Center’s HIPAA compliancy requirements where all private data records are safely held on dedicated, encrypted servers. They were also fitted with a secure Firewall solution for which Nuvera can monitor and manage 24/7/365 in real-time. Regional Eye Center has full control over the operating system, hardware, and more. Their Disaster Recovery needs were met, as their servers are replicated between Nuvera’s Hutchinson and New Ulm data center locations. Disaster Recovery involves a set of policies and procedures that enable the recovery or continuation of vital technology infrastructure and systems following a natural or human-induced disaster. The Eye Center is meeting their measures to attest, and Nuvera’s solutions are saving them a lot of time by backing up important documents automatically. Successful companies are always looking for new ways to do more with less – keeping their business flexible, innovative and competitive without driving up operating costs and capital expenses. Regional’s Eye’s new Avaya IP Office solution is a simple, powerful communications tool that has enabled their business to communicate effectively and efficiently with their customers. Their new Phone system creates a seamless experience for their customers and employees regardless of their locations, devices, or applications. Regional Eye Center’s experience with Nuvera has been nothing short of amazing. They are compliant and really enjoy that there was a solution to everything they were looking for. The eye center appreciates that Nuvera is local, and they do everything that is needed of them. They have forged a strong working partnership, and will continue to meet each other’s needs.